In the village when I tried to move little sideward to click the building of the temple of deity Jamlu, two little girls passing, warned me not to go to that side as the land belongs to the God. ‘Can I go and see the temple’ I asked. ‘No, do not touch the temple and any of the houses. Watch it from the distance and enjoy’. It has been my dream to visit this ancient village called Malana, tucked somewhere in the mountains over Chanderkhani pass and Rashol Pass in Kullu valley. 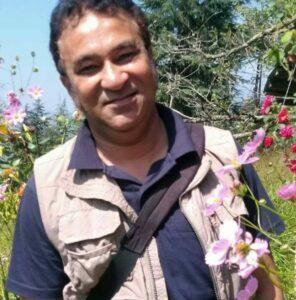 I heard many stories of the existence of this ancient and secluded hamlet in the Himalayan regions. Untill the road to the village in the early decade of this century from Jari, 30 km from Kullu was opened, Malana was accessible only after a four days trek from Prini on the left bank of river Beas in Manali over Chanderkhani Pass 3660 m. In the olden times, the villagers had to walk for nearly fifty kilometres to the nearest road head. It is hard to believe how their ancestors arrived here and settled in these hills. The most talked story of their arrival is that they are the direct descendants of the soldiers who came with Alexander the Great in 326 BC. The Greek army entered Indian land over the mountains and one battalion lost its way. They decided to settle down here in these hills. Where did the women come from? But Chering Dorjey says that they arrived here from Mangolia. As I walked through the village various questions came to my mind. How did they survive in such remote locations? Where did the cloths come from and how did they manage the utensils and fire? What did they eat and how did the build houses? The temple dedicated to Rishi Jamdagini or Jamlu Devta, father of Parshuram is the most prominent structure in the village. The legend says that the rishi had come to this place for meditation and had brought eighteen idols of the gods from all over the world. A blast of a strong wind swept all the idols away and scattered them in the valley. Wherever they fell, they became the local deities. Rishi Jamdagini met the demon Banasur in this region and his conflicts were settled here, in Malana. Banasur took over the administration and Jamlu took the justice. With time, Jamlu earned more and more popularity and became the main part of the religion. The question remains here is that Alexander the Great arrived India only 360 BC whereas rishi Jamdagini and demon Banasur are from the age of Ramayana and Mahabharata. The village is governed by a bicameral parliament, consisting of lower house called the Kanishtha and an upper house called the Jayeshtha. Surprisingly, although the village falls in Indian land but they have their own democracy and they claim to be the oldest democracy in the world. The high court consists of eight members and is headed by the Gur – the messenger of Jamlu devta is called Jyeshtha and the lower court is made of the elderly members of the families called Kanishtha. Any issue, first is brought to the lower court and if the parties are not satisfied by the decision given my them, the matter is presented to the high court. They have an easy way to make the decision. Both the parties are required to bring a scapegoat. A deep wound is made in the forelegs of the goat, filled with poison and stitched. The goat that dies first its owner is declared as the culprit. The major economy of the village has been the Hashish that is grown in the area. Over the years, it has earned its own name as Malana Cream, the best charas in the world. The westerner hippies and the backpackers love to visit this far-flung village for short and quick drag of its puff. A few locals can be seen talking and negotiating with them in their broken English that they have developed in recent years. The government opened a school in the village and the children of new generation can be seen going with their school bags. The lifestyle, attire and the architecture of Malanies, although resembles to the other villages in the hills but their appearance and some traditions related to the marriage system makes them different. The boys and the girls from the same village decide to get married and live together but the Gur of the temple makes the final decision. The Malanies do not want to lose their culture and so any outsider in the village, called a non Malanie, is not allowed to touch even the walls of the houses or touch people. In case they have to shake hand with some outsider, they must wash their hands. A major fire incident in 2007 caused a serious damage to the age old houses in the village including the ancient temple of devta Jamlu. They have been replaces by the new high rising structure and the labour comes from Bihar or Nepal. Every brick of the newly built house is touch by outsiders and then the family has to live in that house for the rest of their life. Weird a bit? Isn’t it? As I moved ahead, I noticed a young boy sitting on a rock shouted to call his friend. I tried to understand his words but they were beyond by comprehending. I had never heard anything like that in my life. The language that they speak is called Kanashi , the mixture of Tibetan and Sanskrit languages. To quote from an article by Tibetan Guru and research scholar Mr. Chering Dorjey, ‘The language is a sub language of Jang jang which is the abstract of Tibbetan and Burmese languages. The people who speak these language reside in the remotest regions of Himalaya’. Although many of them could be seen using smartphones and the houses are fitted with the television dish antennas but when I wished to stay, overnight in the village I found that it was not allowed by the government, perhaps for the prevention of the culture from the effects from outside. 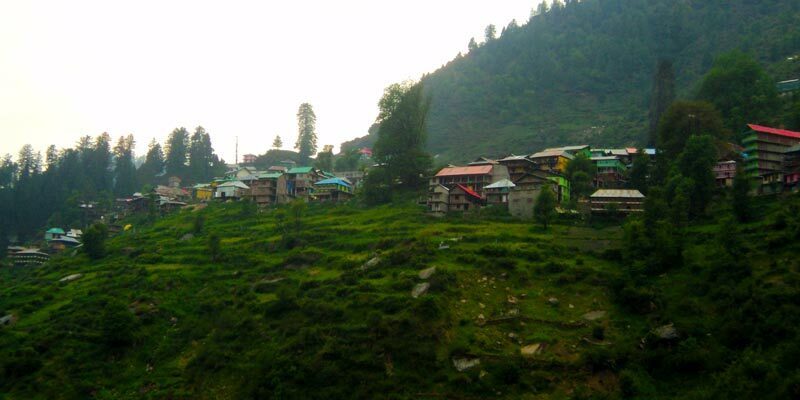 Tourists can visit the village during the day and can stay in the camps outside, below the village along the river Malana Nala. Some of the villagers also have got tea shops and dhabas to provide basic snacks and food to the travellers. This world belongs to us and we belong to this world. It is hard to describe why we are divided into countries and the communities. It is almost difficult to describe who divided the human society and how we got ourselves separated from others. The greed and hunger of many rulers of this world has been the reason of this separation and resettlements. 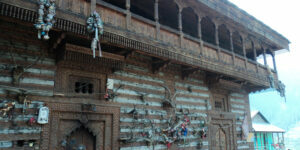 Malana, the hidden gem in the Himalayan Mountains is one of the results of that greed and hunger. 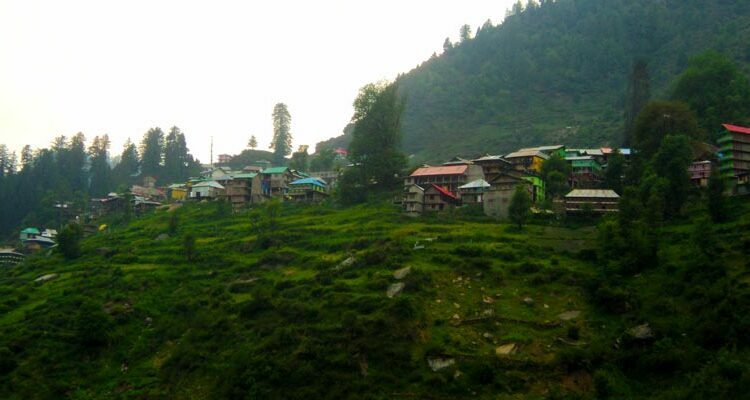 The hydro projects has brought Malana closer to the world but unfortunately with the arrival of tourism and plastic packs all kinds of filth can be seen in the village. Most common route towards the Malana village is by taxi or bus from Jari. 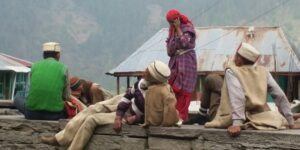 Distance between Jari – Malana: 17 Kms. Distance between Jari – Kullu: 30 Kms. Adventure soul can take the trekking routes. It can be reached from Parbati Valley, Manikaran over the 3180m high Rashol Pass, or via Nagar over the 3660m high Chanderkhani Pass. The nearest Airport is at Bhuntar, 23 Kms from Jari.